This statistic shows the results of a survey conducted in the United States in March 2017, by community. U.S. adults were asked if the could imagine themselves using an app to track their sleeping behaviors. 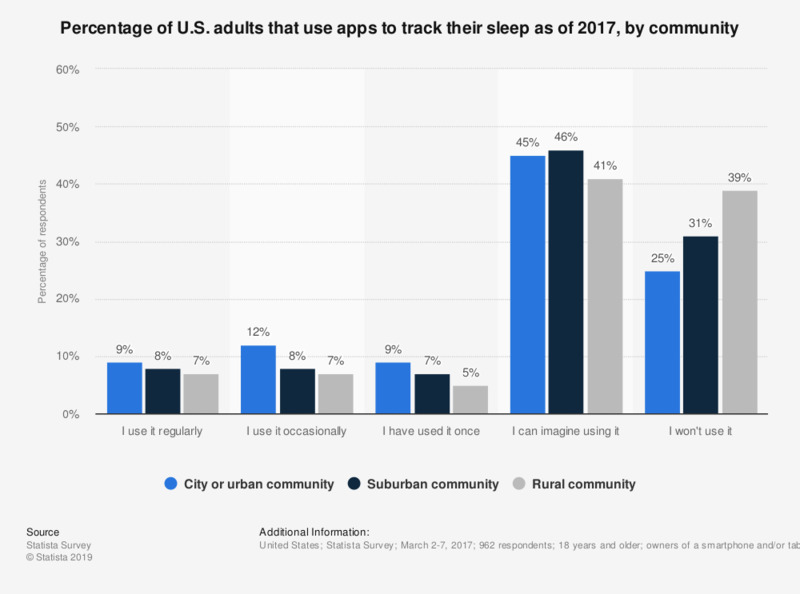 In total, 12 percent of respondents in city or urban communities stated that they used apps to track their sleep occasionally, compared to 7 percent of those living in rural communities. Original question: "The following is a selection of different e-health apps for smartphones and tablets. Could you imagine using any of them? [ answers for: apps for sleep tracking (e.g. Sleep Cycle, SleepBot, Sleeptime)]"